The whole of Sussex was originally split into six different units before some of them were amalgamated during the 16th century. It was not until 1974 that the county of West Sussex actually came into existence. The county is filled with beautiful scenery, with downs and beautiful coastlines. There are many stately homes and castles to explore and as much of the countryside here is afforded protected status there are some wonderful walks and cycle trails to try. West Sussex is within easy reach of capital being only 1.25 hours away from London by train and around 2 hours by car. The county is filled with interesting towns and villages all of which have their own attractions and charms. 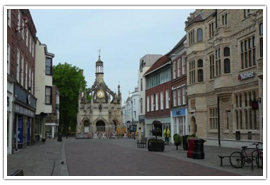 With the old Tudor Market at its heart, Chichester is a city which is both elegant and quirky. The Norman Cathedral stands as proud today as it did centuries ago. The ancient city walls still stand though the city has far outgrown their boundaries. There are a number of excellent art galleries in the city and a number of festivals take place here across the year from jazz to the celebration of real ale. The history of the city can be discovered as The Novium, a new attraction in the city which is sited on what remains of an ancient Roman bathhouse. Now the epitome of the British seaside resort town, it was at one time a small hamlet until one London agent and property developer decided that it would make the perfect holiday resort for those looking to reap the benefits of the sea air away from the stuffy and dirty city of London. It took almost a century for the resort town to reach its full potential, but it has been a popular holiday destination ever since. 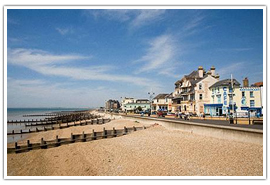 As the majority of the town was constructed in the 18th century there is little of historical interest here, but a glorious shingle beach, pier and all the attractions of the seaside to enjoy. This lovely picture postcard town is dominated by the castle which still keeps watching over the now pretty Georgian and Victorian houses which line the streets. Follow the Arundel Gallery Trail and see inside many of the private houses here. The biggest attraction, of course, is the castle but there is also a Catholic Cathedral and all of the scenery of the Arun Valley to enjoy. In such a scenic county you can be sure there are plenty of beautiful outside spaces to enjoy. Located in Chichester the gardens surround a 19th century Gothic House and contain a beautifully restored Victorian walled kitchen garden complete with authentic Victorian glass houses. The main attraction in the gardens in the stunning 300ft long Edwardian stone pergola with beautiful timber beams. Rustic summerhouses, woodland gardens, and ponds make this a wonderful place to be. Open from March – October from 10.30am – 5.00pm and November – February 10.30am – 4.00pm. 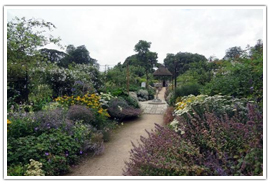 Located in Handcross High Beeches Gardens are a stunning woodland garden with natural streams and a beautiful water garden. 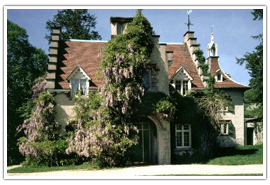 Originally the gardens of High Beach House, the house was burned down in 1942 and was never rebuilt. The gardens were laid out more than a century ago and contain many unusual species of plants which were brought back from overseas expeditions. With more than 200 wildflower species there is always plenty of color in the gardens. Open daily 1.00pm – 5.00pm between Mid March – Early November. 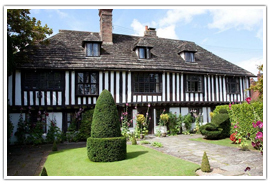 Located in the village of Bramber, St Mary’s house is a wonderful timber-framed 15th-century house. The gardens contain an animal topiary, a beautiful terrace garden and monks walk; the secret garden is a Victorian vegetable garden and there is a wonderfully fragrant rose garden. Open between May – September, Sundays, Thursdays and Bank Holidays between 2.00pm – 6.00pm. 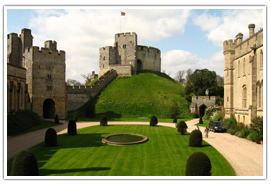 The castle in Arundel occupies a site which provides extensive views over the River Arun and the South Downs. The castle was constructed towards the end of the 11th century and is the home of the ancestors of the Dukes of Norfolk. Many of the castles original features remain such as the Norman keep, the gatehouse and the Barbican. There are also some wonderfully Gothic Victorian additions to the building. The castle contains many works of art including works by Gainsborough, Canaletto, and Van Dyck. 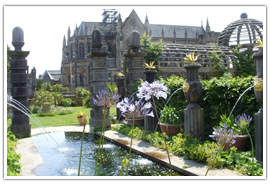 For details about opening times and ticket prices visit http://www.arundelcastle.org. The cathedral has been the religious heart of the city for more than 900 years. It is a mixture of the ancient and the modern as the medieval aspects find themselves adjacent to works of contemporary art. Also here are the Bishop’s Palace Gardens and the beautiful Cathedral Close. Occasionally parts of the cathedral may be closed to visitors as special services may be taking place. Open daily between 7.15am – 6.00pm. 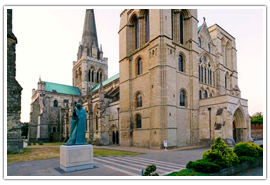 For information about guided tours and other events visit http://www.chichestercathedral.org.uk. 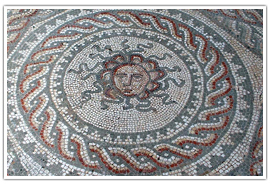 Bignor Roman Villa was the first Ancient Roman site to be opened to the public in 1814. They are the remains of a Roman home which have some incredibly well intact mosaic floors which date from the 3rd century. Around the villa are the Nyetimber vineyards and the splendor of the South Downs National Park. Open daily from March – October between 10.00am – 5.00pm, visit http://www.bignorromanvilla.co.uk for details about events and ticket prices. Fun and adventure await the family at Harbour Park. 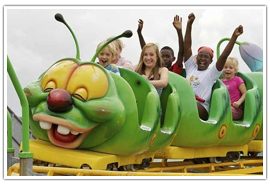 The park is located along the Littlehampton seafront and contains all of the rides and attractions you would expect from waltzers and dodgems to giant slides and mini golf. Opening times of the park vary to visit http://www.harbourpark.com for more information. 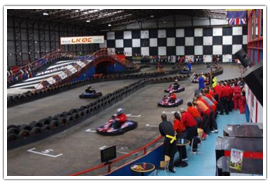 Located in Crawley, TeamSport offers visitors the opportunity to test their driving skills in 200cc karts with a top speed of 40 mph. They believe that they offer the most ambitious driving track in the country covering two floors and designed by a team of professional circuit engineers. Visit the TeamSport website to learn more about prices and booking. The Clay Pigeon Shooting School is located on The Cowdray Estate just outside of Midhurst. Catering for the total beginner to the experienced shooter all tutors are highly qualified and provide full safety training for all guests. A range of targets is available depending on group types and skill levels. 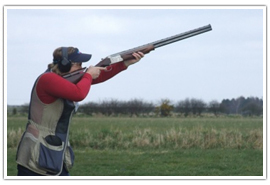 Visit Cowdray Clay Pigeon Shooting for information on prices and booking. Take time out to relax and indulge in a traditional afternoon tea. Located in East Grinstead, much of the house dates from the 17th century through the estate on which it stands has been in existence since 1332. The house is surrounded by beautiful grounds and gardens and offers a traditional afternoon tea between 1.00pm – 5.00pm daily. Prices start at around £24.50. Visit Alexander Hotels for information about booking and menu options. 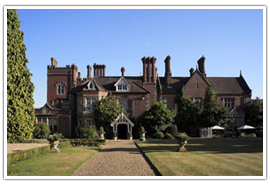 Located nr Horsham the South Lodge Hotel is a beautiful country house nestled within woodlands and gardens. Winston Churchill used to visit the house regularly. Afternoon tea is served between 2.30pm – 5.30pm daily and includes all of the traditional treats from scones to delicate pastries and prices start at around £24.50. 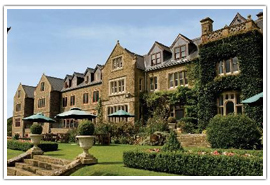 Visit the South Lodge Hotel for information regarding menu choices and booking. The county offers some incredible wedding venues which will make your special day even more memorable. 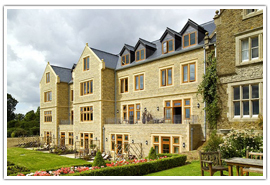 Located in Turner’s Hill, the Alexander House Hotel offers an elegant setting for your wedding. The beautiful rural manor house set within grounds provides the perfect backdrop for your event. Suitable for indoor or outdoor weddings the location will certainly make an impression on your guests. Located in Haywards Heath, Wakehurst Place is a Grade I listed Elizabethan mansion set within a stunning 180-acre estate. The mansion lake makes the perfect location for wedding photographs and the venue itself offers everything you could want for a fairytale wedding. Located in Lower Beeding, South Lodge is a stunning 5 stars rated country house set within beautifully landscaped gardens. It offers a truly romantic venue for your wedding all topped off with award-winning Michelin starred food. 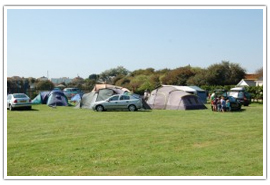 There are around ninety different campsites and caravan parks to choose from around the county. 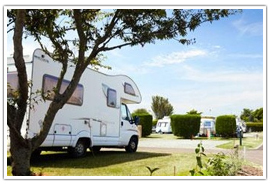 • Rowan Park Caravan Club Site – Rowan Way, Bognor Regis, West Sussex. 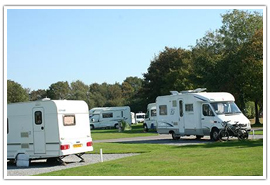 • Northbrook Farm Caravan Club Site – Titnore Way, Worthing, West Sussex. • Sunnyside House Certificated Site – Yapton Road, Barnham, Bognor Regis, West Sussex. • Cobwebs Certificated Site – Connor Farm, Chidham, Chichester, West Sussex. • Buncton Manor Farm Certificated Site – Wiston, Steyning, West Sussex. • The Barn Caravan Park – Old Salts Farm Road, Lancing, Brighton, West Sussex. • Greenways Touring Park – Kirdford Road, Wisborough Green, Billingshurst, West Sussex. 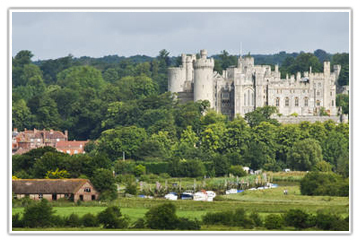 • Maynards Caravan and Camping Park – Crossbush, Arundel, West Sussex.